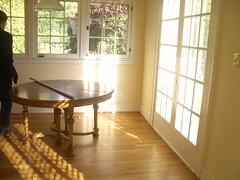 Doncha just love that sunlight coming into the room! Yeah, I know, it won't be doing that a whole lot, in Portland. But we can enjoy it when it does.